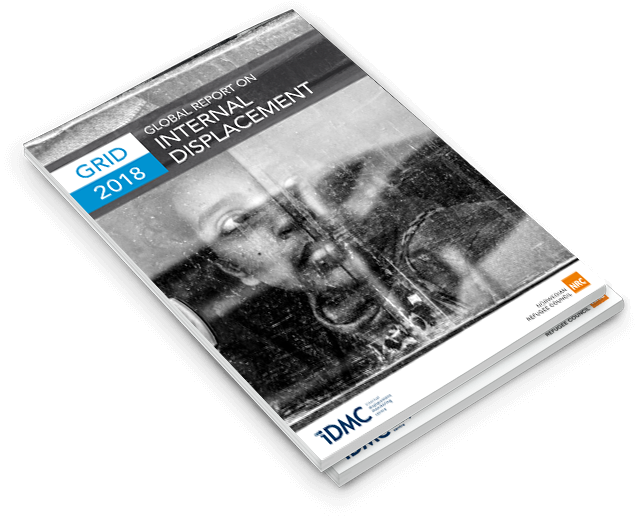 This year’s Global Report on Internal Displacement explores why so many countries still struggle despite 20 years of international, regional and national policy efforts and investments. Since the publication of the Guiding Principles on Internal Displacement in 1998, programmes and policies to protect and assist IDPs have not been sufficient to cope with, much less reduce, the growing number of new displacements or the cumulative number of IDPs over time. A new approach is essential. Beyond the need to improve humanitarian responses to these crises, more investments must be made at the national and international levels in sustainable development, peacebuilding, addressing the impacts of climate change and disaster risk reduction. Failure to address long-term displacement has the potential to undermine the 2030 Agenda for Sustainable Development and progress on other international agreements. Until 2016, we used to publish two reports per year: the Global Estimates, with figures and analysis on people internally displaced by disasters, and the Global Overview, with figures and analysis on people displaced by conflict and violence.